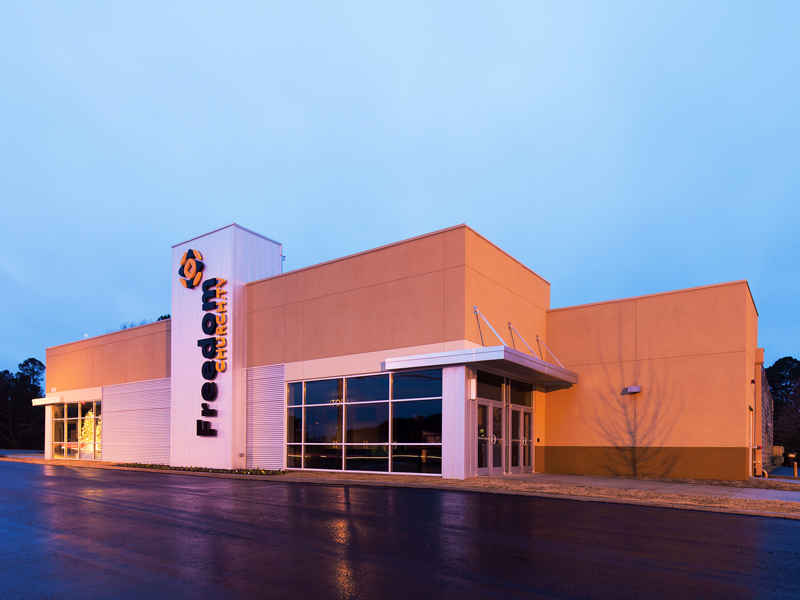 Freedom Church is a growing “portable” church, currently meeting in a public school every Sunday, but now requires their own building. An adaptive reuse of a “tired” underutilized building was pursued as a viable, economical solution. The building is located strategically in the community with great access and visibility. The pre-engineered building was a night club converted into a car auction building and now into a church. 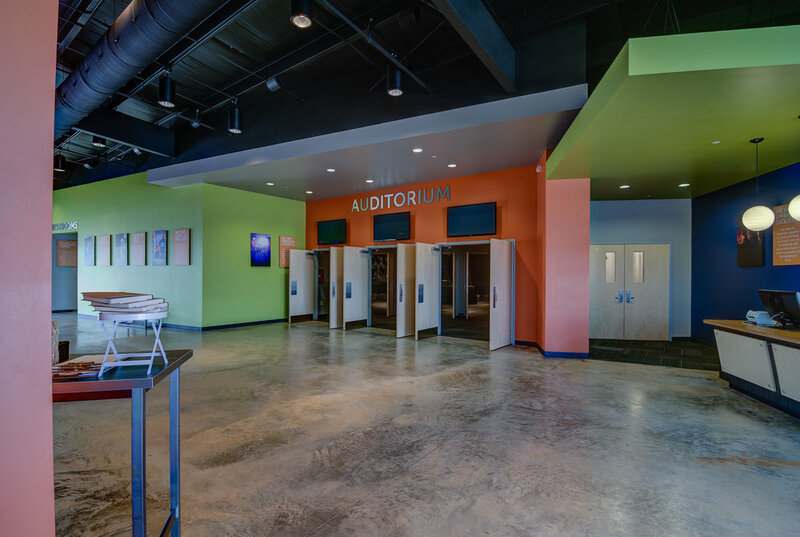 The solution was to utilize the existing building shell for the two key components: a 500 seat auditorium and the children’s ministry area. 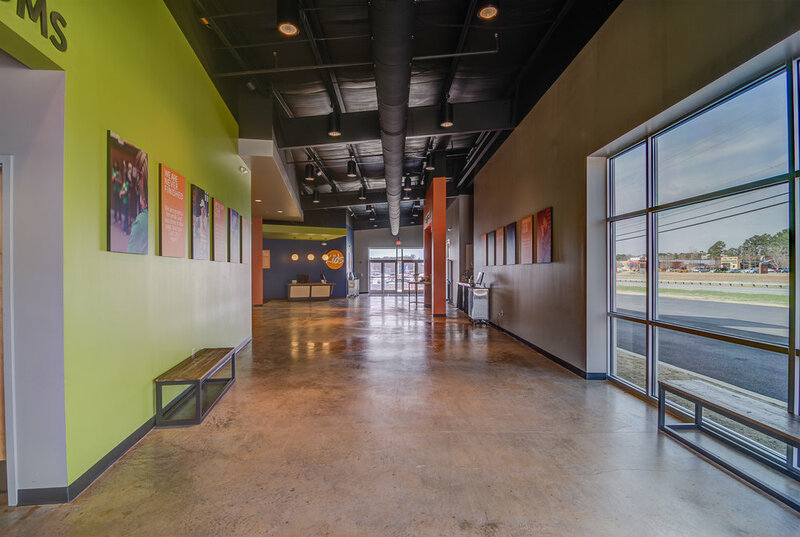 The third key component took advantage of the exterior covered drop off turning into a spacious lobby and welcome center space. The layout planned for expansion in both directions for the auditorium space and education wing. 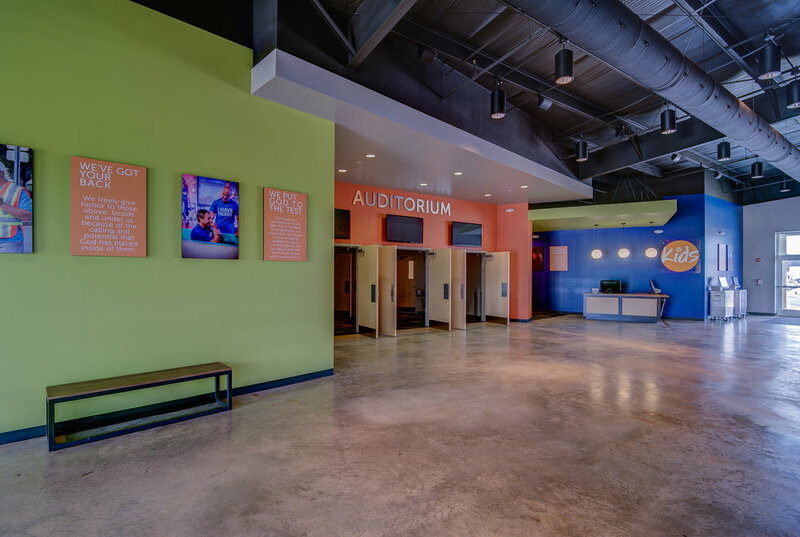 The renovation was designed within the budget and because of budget priorities, the exterior renovation focused on the front façade with updated materials, creating a new image for the church. Minor additions to the building provided for supplemental space and the major new church identity of a polished metal panel tower. 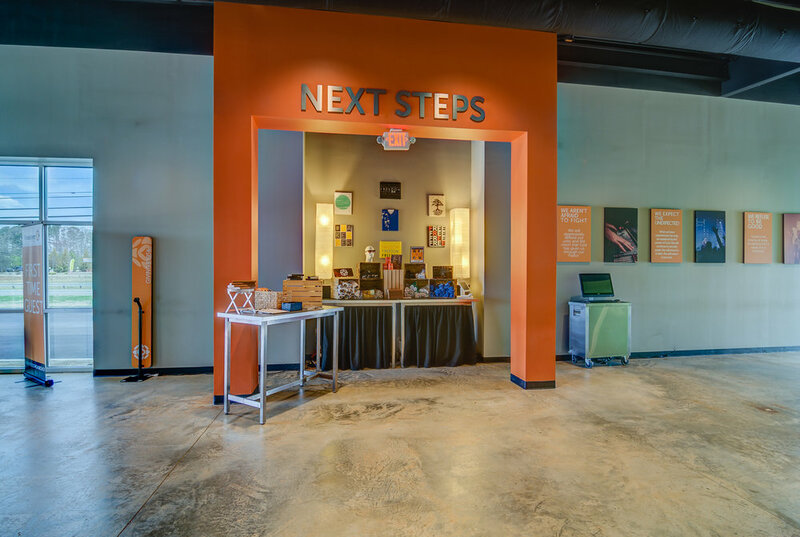 This new location frees up Freedom Church to plant their roots with the opportunity to grow, reaching out to the community with their new identity.